If obstruction is the source of your sleep apnea side effects, then your health care provider might be considering recommending sleep apnea surgery for you. 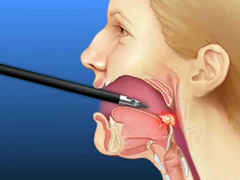 While most cases of mild to moderate forms of the condition are easily treated with either lifestyle changes or dental apparatuses or masks, both popular sleep apnea devices, severe cases and those that have a physical cause such as a deviated septum, excess palette and throat soft tissue which can lead to airway obstruction or other throat or facial structure problems may require sleep apnea surgery for correction. Most of the time, a CPAP machine, that which delivers a constant flow of air all night long, is the recommended course of action. The fact is – it almost always works. Sure, it’s not the most appealing of all sleep apnea treatment options. Few are thrilled at the prospect of donning a large and obtrusive mask all through the night; however the majority of patients, even those with obstructive sleep apnea, tend to experience long term positive results. However, there are some cases where your doctor or E.N.T. Specialist might talk to you about sleep apnea surgery. Situations where this may occur would be for instance if you have very large tonsils that are causing the condition or, you have had no success with a CPAP device or are unable to use it. One of the biggest factors that you will need to consider is cost. After insurance coverage, CPAP devices will run the average person just a few hundred dollars per year whereas even the most minor of sleep apnea surgery options, such as that for a deviated septum, will likely start out at $2000.00 dollars or more. This of course varies depending on your insurance coverage. For instance, if your surgery is elective to combat say, a snoring problem, then your insurance company will not likely pay for any of it. However, if your quality of life is suffering from your sleep disturbances, then it’s possible that your insurance company will consider paying for some of the charges. Other downsides and risks to having sleep apnea surgery are the long term success and effects of it. Many people believe that having surgery done will provide a definite cure for their condition. These same people are shocked when they are back in a sleep clinic for another sleep apnea test just months later. The truth is, there is no guarantee of success, and even if you solve one issue, there may be another underlying cause that went undetected, or comes about post surgery. You will have to understand that surgical procedures are no guarantee of curative promises. Because of the sensitive area that sleep apnea surgery often encompasses, recovery time can be lengthily and the recovery period (lasting as long as 14 days!) uncomfortable. Some people have issues swallowing, and have to essentially retrain their throats. Others find themselves choking on even their own saliva and having pain that makes eating difficult during the often multi-week recovery time. This of course largely depends on what type of surgery you have had done. Scar tissue removal may seem like a small procedure, but it can leave a painful aftermath. Whether or not this type of procedure is right for you will depend on you and your health care provider. Less expensive, less invasive and less risky options are available for this common type of sleep disorder, and you will need to determine the cost, risk and benefits of this type of procedure when compared to other perhaps more appealing options.